PopCult is going ALL-VIDEO one more time as sort of a holiday hangover bit of slacking. Instead of a book review this week, we bring you “Time Enough At Last,” a classic episode of The Twilight Zone that is all about one meek little fellow and his life-long love of books. 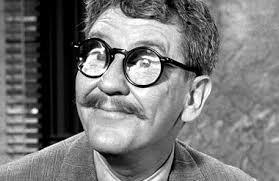 This includes an amazing performance by Burgess Meredith, and one of the great twist-endings of all time. Unwind after Christmas with the adventures of Henry Bemis.